I find crafts you can make without buying anything new rather satisfying. 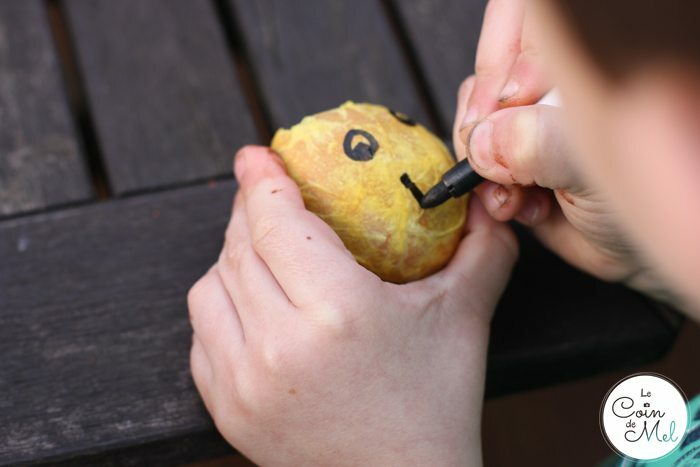 I love showing the little ones that by using their imagination, they can repurpose things that would otherwise be thrown away. After they have served their purpose, their little projects can then be recycled. We do it regularly at home, when making toilet paper crafts or when building towns to go with their Playmobil or Lego. When we were making cupcakes last week, I made sure I was only taking the top off the eggs when breaking them so we could use the eggshells. We have lots of seeds to plant with the children this year and they love growing stuff but most things take so long that by the time anything starts peeping out of the ground, they have forgotten all about it. We always have cress seeds in the house because it is what grows the quickest and we find it a nice little windowsill project (you are never sure what the weather will be doing here!). Whenever we run out of the precious little seeds, I make sure I get a new packet from the garden centre for later. Having something that grows as quickly as cress is ideal as they can check on it regularly and something happens every single day without fail. They can see some progress and therefore do not lose interest… and you can eat it. What more could you ask for? Last year when my mum came for Easter, she brought us eggs her hens had laid. 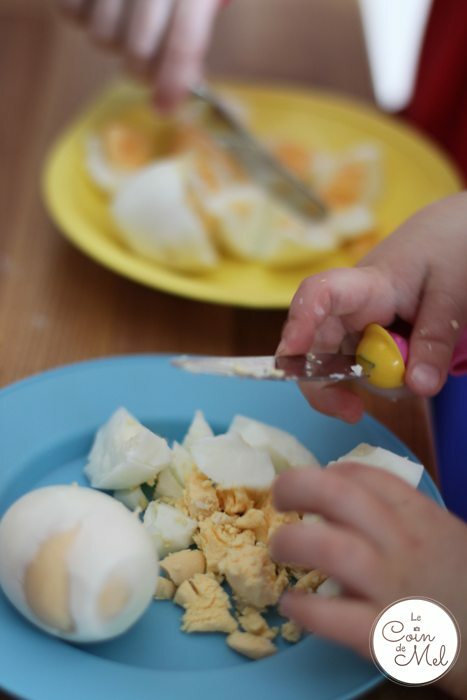 The little ones immediately requested egg sandwiches so they could use their Mamie’s free range eggs as well as their home grown cress. Even Crevette decided to give his favourite egg head a haircut! Egg sandwiches are delicious and could not be easier to make. We like to use freshly baked crusty bread, slices of our favourite seeded loaf or our healthier version. 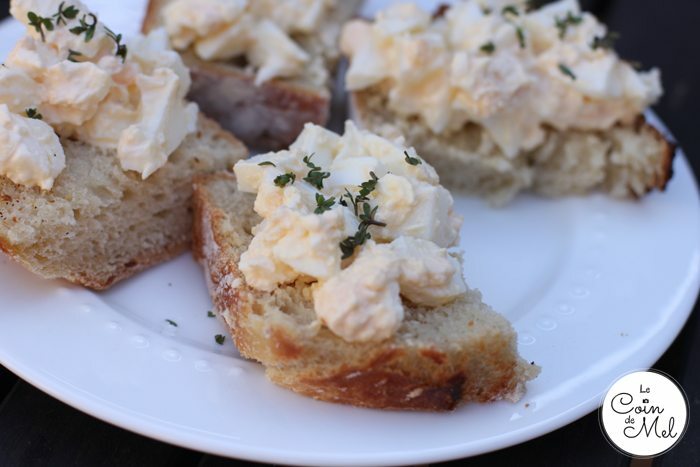 On top of thick slices of homemade bread, simply spread a generous amount of chopped hard-boiled eggs mixed with mayonnaise, made at home in 5 minutes or shop-bought. Season to taste and sprinkle some cress on top. Voilà! 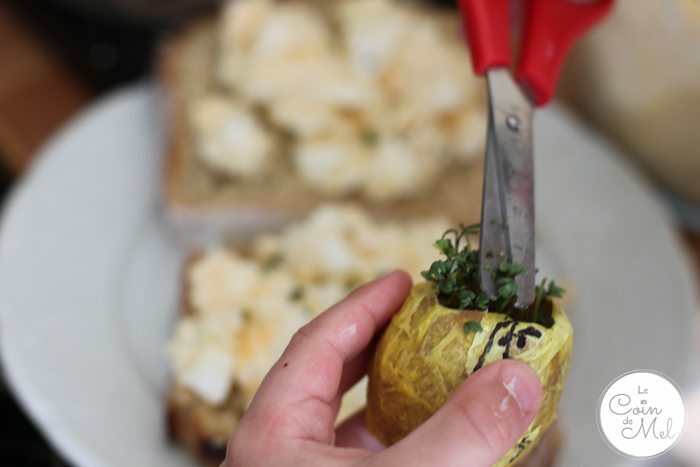 My children’s favourite part is always to carefully cut the cress on top of their own egg sandwiches. 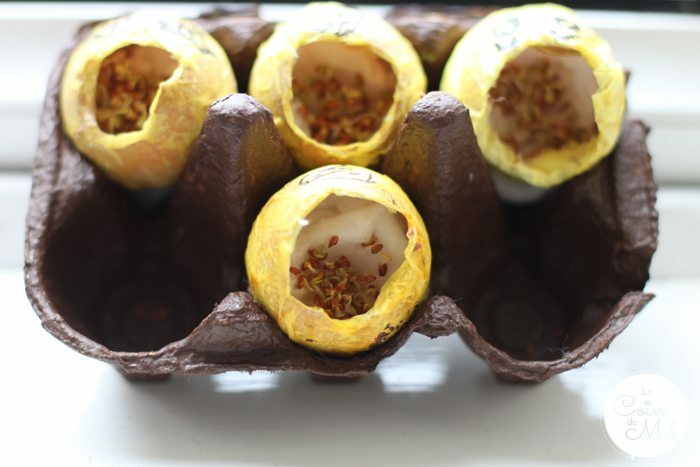 Break the top of the eggs and make something yummy. 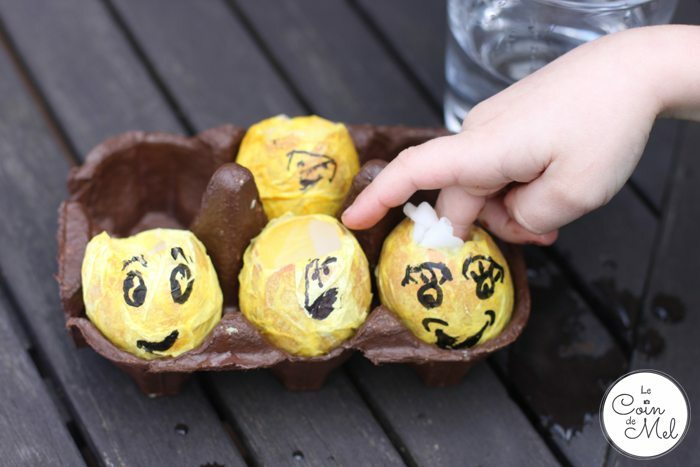 Wash the egg shells in warm, soapy water and leave them to dry. Rip strips of tissue paper. 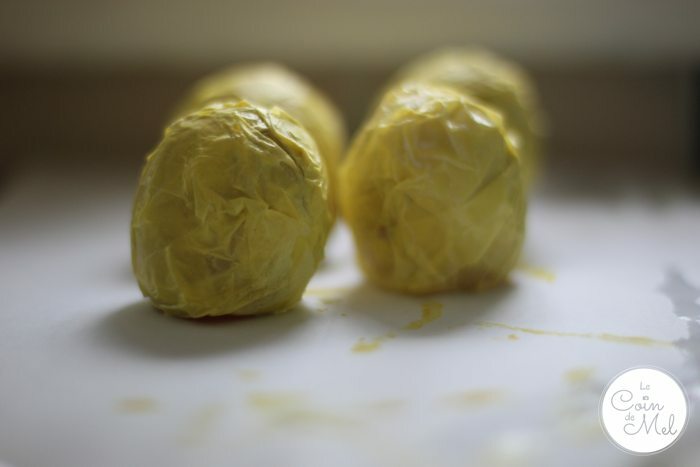 Cover the egg shells in PVA glue and apply several layers of tissue paper. 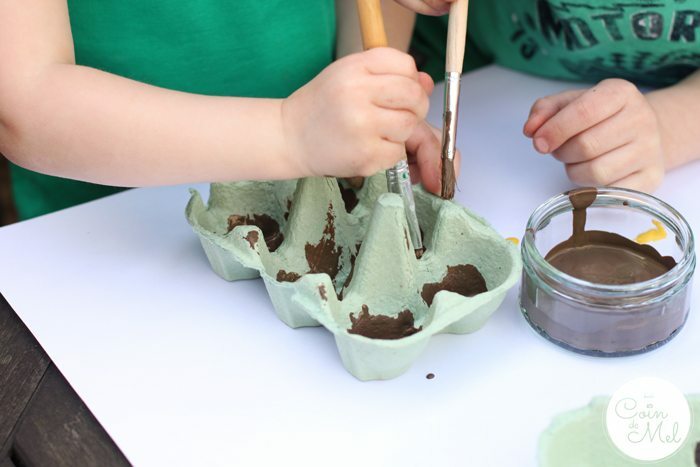 Once the eggs are dry, you can paint them as well as the egg box if you wish. When completely dry, draw faces with a permanent pen. Wet cotton wool and place inside the decorated shells. Sprinkle cress on the cotton wool. 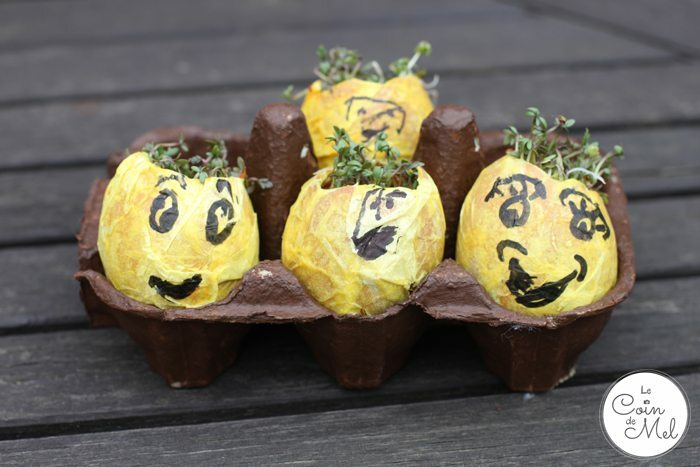 The more cress seeds, the more hair you will get! Keep your egg heads on a windowsill. The cress will sprout within a couple of days. If the cotton wool gets too dry, add a little bit of water. The nominations for the Brilliance in Blogging awards opened this week. If you read my ramblings and enjoy my silly projects, I would love a nomination for Family, Food and/or Crafts (Photography would be pushing it, wouldn’t it?). I love these! I’ll have to pick up some cress seeds next time we’re at the garden centre. Thanks hun, that’s so sweet of you! You’ve had a vote from me, too! So funny ! Tes enfants doit être très contents avec ses nouveaux “amis les œufs” ! J’aime aussi la simplicité de ton sandwich. Ils adorent leurs oeufs! Merci pour la nomination, tu es un coeur! Au fait, je ne peux pas ouvrir ton blog ce soir. Il y a un bug? 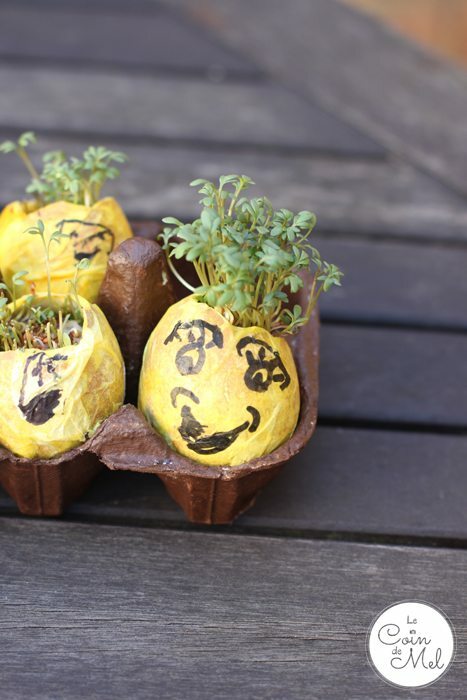 Ahh this seems like a good first ‘growing’ experiment for my little one! We’ve had some daffodils in a pot but they were already in there so it doesn’t count, haha. She might even sit still long enough to decorate the egg.